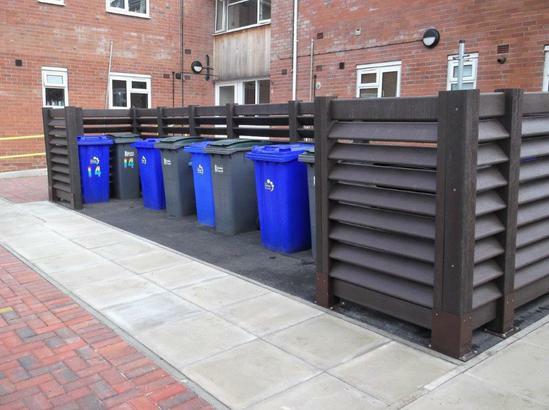 The majority of bin bays were installed using ground sockets, but for those needing installation on gradients, panels with extended legs were used so the bays could be 'stepped'. 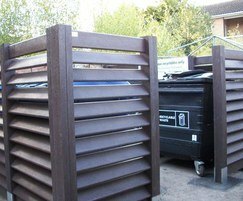 100% recycled plastic panels are extremely robust, will not splinter, crack or rot and can be jet-washed without harm to the material. 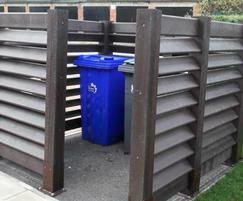 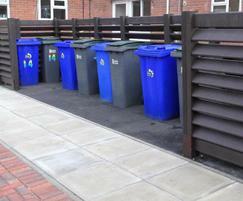 Louvre style boards allow air to circulate, preventing a build up of unpleasant smells around the bins. 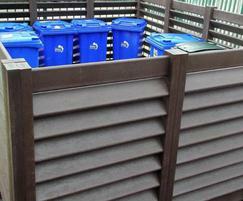 Panels are pre-assembled and available in various heights and widths. 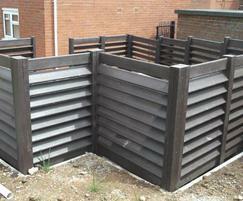 Natural colours (brown, green, grey) blend in with the environment. 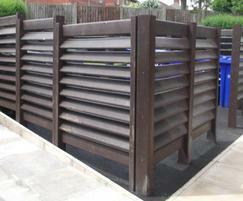 Powder-coated ground sockets complement the panels.